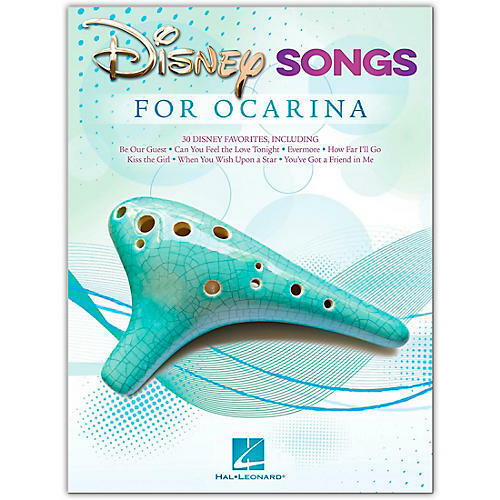 Ocarina players of all ages will love this collection of 30 Disney favorites, including: Be Our Guest · Can You Feel the Love Tonight · Colors of the Wind · Do You Want to Build a Snowman? · Hakuna Matata · How Far I'll Go · I Just Can't Wait to Be King · Kiss the Girl · Mickey Mouse March · When You Wish upon a Star · Whistle While You Work · A Whole New World · You've Got a Friend in Me · Zip-A-Dee-Doo-Dah · and many more. Arranged for 10-, 11-, and 12-hole ocarinas.